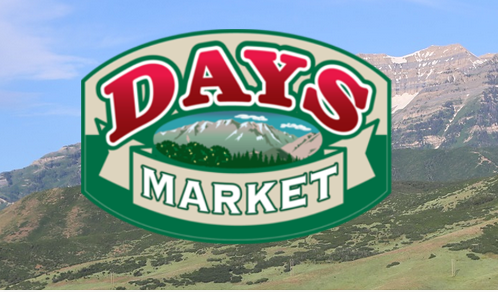 Day’s Market is asking Provo City for a tax incentive. It’s the business that hires teenagers. It’s where you meet your neighbors on Saturday night. It’s the only grocery store in the northeast side of Provo, and it houses a full-service Post Office. Now Day’s Market is remodeling, and would like a tax incentive to do more. The locally owned store does $8.1 million in annual sales, and generates $40,500 in property tax to Provo every year. Day’s officials say with the $1 million remodeling project, the store could draw more customers and generate 15 to 25 percent more in sales tax every year. So under the proposal, after the major remodeling work is done, for 10 years the store would get any sales tax collected over that $40,500 baseline. Once the store collects $500,000 from additional sales taxes, if the 10-year period hasn’t expired, then it would split the additional sales taxes 50-50 with the city. “It’s not likely they would get to the point” of the 50-50 split, said Provo deputy mayor Dixon Holmes. The tax incentive is more likely to be about $10,000 per year. He said the sales tax money would help store owners make more improvements in the store. This deal is similar to other incentives the city approved recently — Parkway Village and East Bay shopping centers, Holmes said. And Provo has a problem losing grocery business. About four years ago, the city commissioned a study that showed Provo residents spend about $25 million every year on grocery-type sales outside of the city, he said. This year Provo lost a grocery store on 300 South, Allen’s Super Save Market. But in the last few years it got a Walmart Neighborhood Market. And on Tuesday it announced a Target Express is moving into a space next to Macey’s. Harding wanted the city to approve a strategy before moving the Day’s proposal to a regular council meeting. However, he was the only one to vote against the move. The council will vote on the proposal April 24.